Engineers Make Narcotics With Yeast. Is Home-Brewed Heroin Next? : Shots - Health News The yeast produce only tiny amounts of the drug. But eventually, the technology could lead to better painkillers and other medicines. Drug officials worry the microbes could fall into the wrong hands. 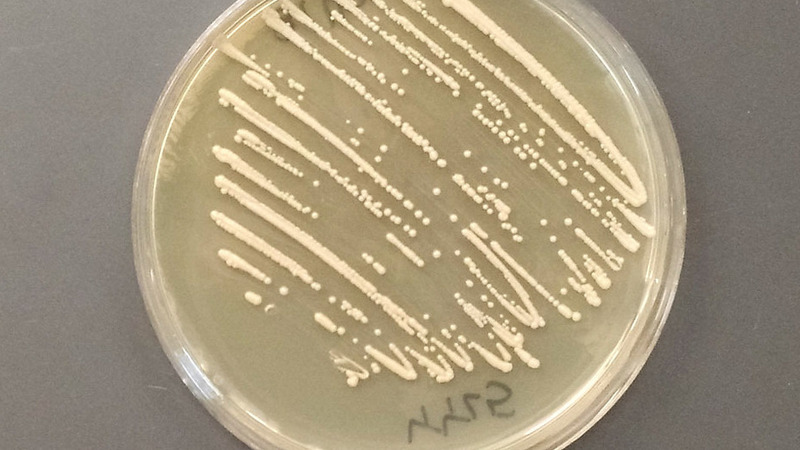 This genetically modified yeast can convert sugar into powerful opioid drugs. Scientists working with the modified yeast strains are required to register them with the Drug Enforcement Administration and keep the yeast under lock and key. 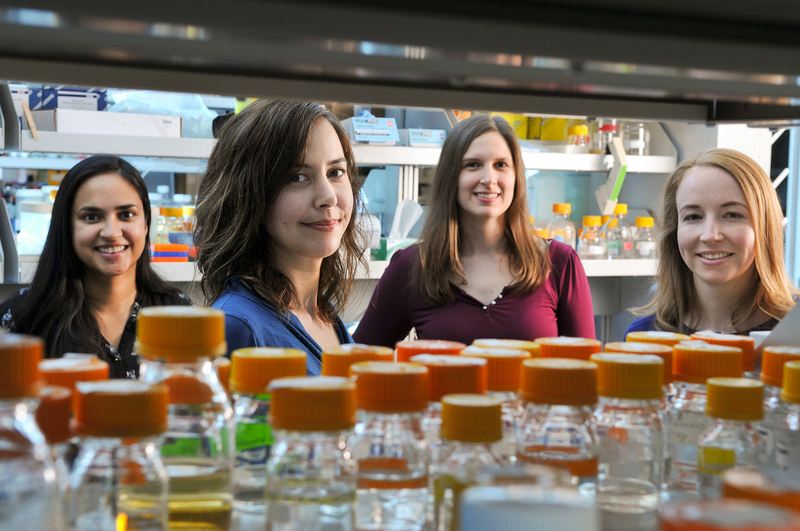 When bioengineer Christina Smolke started her own research lab, she was only 29-years-old. But that didn't stop her from setting colossal goals. Smolke immediately began to work on what many considered to be a holy grail in bioengineering: yeast that can literally brew narcotic drugs. Achieving that, she knew, could open the door to the quick development of better medications of all sorts. "When we started this work, you know, there were people and experts in the field who said this was impossible, that it would never be done" Smolke says. Now, just a decade later, she has officially done it. In the current issue of Science, Smolke and her team at Stanford University, report that they have created yeast that can convert sugar into hydrocodone, the active ingredient in Vicodin. Another yeast strain makes a compound called thebaine — which can easily be turned into many opioids, including oxycontin, codeine and morphine. Making the yeast took a herculean effort. The team took more than 20 genes from rats, bacteria and a bunch of plants, such as the California poppy, the Iranian poppy and Goldthread. Then they inserted the genes into a microbe similar to Brewer's yeast, and coaxed the cells to synthesize the drugs. By engineering yeast to synthesize opioid drugs, scientists at Stanford University hope to make morphine more available in developing countries, where there's a shortage of painkillers. The research team included (left to right) Isis Trenchard, Christina Smolke, Stephanie Galanie and Kate Thodey. Right now the yeast can brew only tiny, tiny amounts of the drugs. You would have to drink thousands of liters of the "brew" to get one dose of hydrocodone, Smolke says. But once the process has been optimized, she explains, these modified yeast strains should make it much easier and cheaper to manufacture new painkilling medicine and improve the painkillers we already have. "We can leverage this technology to reduce some of the narcotics' side effects, or make medications that are less addictive," Smolke says. The yeast could also make morphine more available in poor countries, where there's a terrible shortage of pain medicine, Smolke says. Still, the genetically modified yeast strains have triggered a heated debate about how to regulate these organisms — and the possibility of "home-brewing morphine." "We're just talking fermentation and brewing here," says Kenneth Oye, who studies technology policy at the Massachusetts Institute of Technology, and says he's concerned. "This is not a technology that's difficult to handle." Oye's worry is that the genetically modified yeast could, one day, be grown at home and used to turn sugar into heroin — which is easily made from morphine or thebaine. Home-brewing, Oye says, could put more drugs on the street. "Unfortunately, one of the implications, in my judgment, is that addicts would have easier access to something that threatens health in very serious ways," he says. "We are not talking marijuana here." But Oye thinks U.S. drug officials need to start planning now, before the lid of Pandora's box opens wide. He recommends that the Drug Enforcement Administration start to track these microbes by "barcoding" them, and perhaps even prohibit the production of certain versions — such as the yeast strains that make heroin directly. "Once a robust, easy-to-grow, heroin-producing yeast strain is out there, its control would be, in my view, virtually possible," Oye says. At DEA headquarters in Washington, D.C., special agent Eduardo Chavez says he shares some of Oye's concerns about using yeast for home-brewing. But the agency is also worried about large drug cartels. "It's concern that [the technology] will fall into the wrong hands," Chavez says. "That they'll find a way to increase production, increase their profits — all on the backs of people who are addicted to opiates." So the DEA is treating these yeast like they do any organism that makes a controlled substance — such as poppies. Researchers need a special registration to handle, store and distribute the yeast. And Smolke and other scientists working with the modified organisms have to keep them locked up. But right now, the DEA isn't planning to introduce any new regulations for the yeast. The microbes just make way too little of the compounds to be a threat, Chavez says. And drug cartels already have large and steady supply of opioids from poppy production in Mexico and Afghanistan. "We can't see the drug cartel making a 180-degree turn, [to] start to exploit this particular market," Chavez says. "It would be much more labor-intensive."